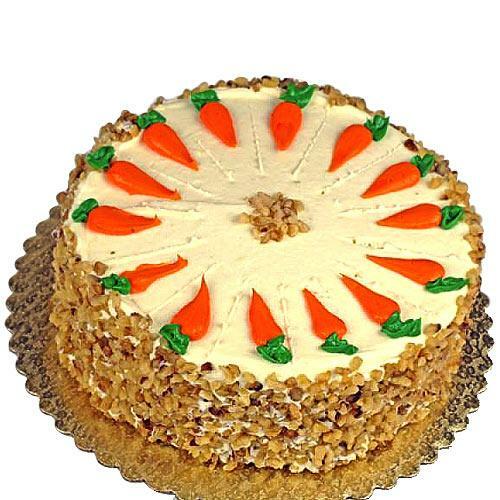 Description Greet your dear ones with this Delectable Carrot Cake with Amazing Taste and make them feel special, loved and lucky. This wonderful Cake is designed in very impressive way. It is made of freshly grated Carrots, crushed Pineapple, crunchy Walnuts, Classic cream Cheese frosting, chopped Walnuts and the perfect blend of spices.